The snow has been fantastic this year in Utah. The beautiful powder that skiers from all over the world travel to experience has been at its best this year. I know, I live just 10 miles from Alta Ski Resort and despite my own harrowing experiences with the winter weather, it has been great on the mountains. I've got a great suggestion for those who have traveled here for our great skiing. When you come to Utah for your ski holiday, you also need to get rejuvenated at one of the best medical spas in Utah! Located in Provo, UT, Xage Medical Spa features a whole array of wonderful ways to come away feeling not only more relaxed, but also more beautiful. Sometimes that is just what a gal needs to go ahead and be the life force for good that she was meant to be. It's surprising what feeling good about yourself physically can do for you in terms of being more productive, more present and more giving to others. It's because you have been re-charged! "Did you ever look in the Mirror and think to yourself “I would look much younger (better) without those wrinkles”? Have you thought about trying Botox, or the recently FDA approved Dysport? With ten years of injecting experience behind him, Dr. Porter can explain each injectable product during your consultation and will help you decide which one is right for you." Dr. Stuart Porter and his team of professionals are dedicated to making your experience at Xage one that will make you glad you came! It is my spa of choice because of the comfortable atmosphere, the individual attention and the great results I get with whatever service I choose. It was mentioned as one of the best of 2012 in the Deseret News, Utah Valley's newspaper. Some of the services that I have personally had experience with are the massage, the ozone therapy, the vein treatment and the restalyne and filler treatment. It sounds like I go a lot, but actually it has been limited. However, every single time I have gone, the service has been great and I have always come away very happy. So chances are good that I will continue my patronage! For instance one time I had some troubling pimple-like things on my face and they wouldn't go away! I talked to Dr. Porter about it and he suggested and gave me a small jar of Ozonated Olive Oil. It smelled horrible, but within a couple of days my problem had completely cleared up. Dr. Porter is amazing with his wealth of knowledge about beauty and women. He is an artist, literally, with an eye for beauty. He is known by many as the best injectionist in Utah, and has 19 years of medical experience. He is also an authority on Women's Bio-Identical Hormone Replacement. I am currently trying Amberen, a healthy choice for women approaching or already in peri-menopause and the symptoms associated with it. It naturally promotes hormonal balance by supporting healthy function of the hypothalamic-pituitary-ovarian axis, which is the backbone of the female hormonal system. It is a supplement program that is 3 months on and 3 months off. I'm excited to see how it works for me! So whether you are in the area enjoying the beauty and fun of the snow in Utah or are here already, I highly suggest you make an appointment for one of the great services offered at Xage Medical Spa! You'll be happy you did! 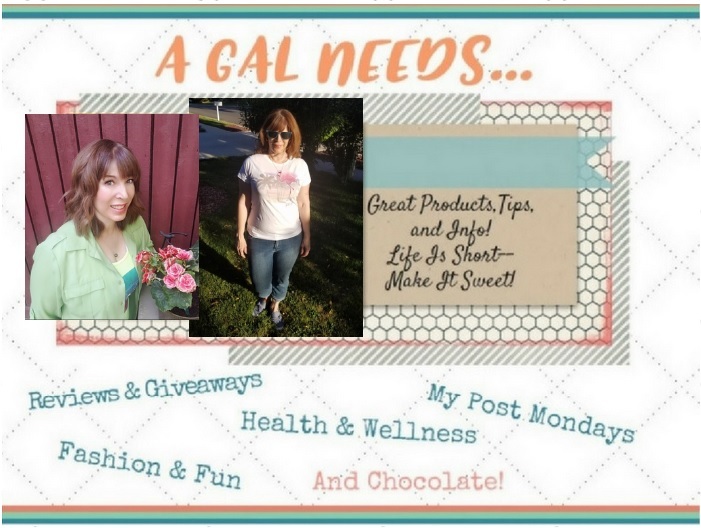 And let them know that A GAL NEEDS...sent you for a special thank you gift! Also find special savings and this month's great Valentine's Day Special on Facebook! Disclaimer: I received product for this giveaway for review purposes. I would get the calming facial. Laser hair removal would be awesome. I would like a Microdermabrasion treatment. I would get lazer hair removal--I would LOVE to be able to stop shaving my armpits every day!!! Permanent Makeup. I would love to have my eyeliner tattooed on. I like this - Skin Tightening. I would like the swedish massage. I'd be interested in the laser hair removal. I'd love to have a Soothing Treatment under additional spa services, a massage would be awesome too though! I've never had a hot rocks massage. so that would be my pick. I would like to try prolozone therapy as its supposed to help with chronic pain by regenerating cartilage and collagen in bones. As someone who deals with chronic pain, I would benefit from it the most. I would definitely like to try the Eye Lash Extensions. Oh, I'd definitely get a massage. I would love to get lash extensions. Is there anything better than a nice massage??? That is what I would get. I like to have Microdermabrasion treatment. I'd like to have the laser hair removal! I found you through the Friendly Friday Blog Hop. I live in Utah so I am really happy to read this post. Thanks! I could SO use a massage! I'd pick the Swedish Massage. I would love to have eye lash extensions as mine are so sparse that you can barely tell that I have any. I would love eyelash extensions! I would like to try the Ozone therapy. Thanks for the chance! Laser Hair Removal for me, but I've heard it doesn't work good with PCOS. I'd go for the Skin Rejuvenation. I would choose laser hair removal. I'd be interested in the Vein Removal treatment.